Are you looking for Canadian Rockies hiking books? 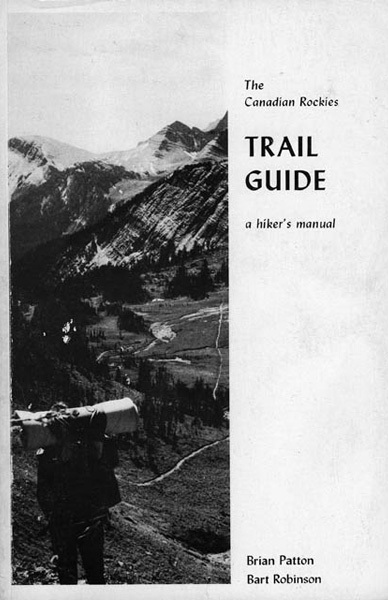 Over 45 years ago, the first edition of the Canadian Rockies Trail Guide was written by Brian Patton and Bart Robinson, allowing casual hikers and experienced backcountry enthusiasts alike access to information on hiking trails of the Canadian Rockies. It became the “bible” of Canadian Rockies hiking books and the all-time best-selling title for the activity. Now in its 9th edition, revised in 2017, and covering over 3,400 kilometres of hiking trails, the Canadian Rockies Trail Guide remains a bestseller. Lake Louise is one of the world's premier hiking destinations. In our newest eBook, the Lake Louise Hiking Guide, we detail the very best trails, accompanied by stunning photography and insider's tips from local experts Brian Patton and Bart Robinson.